Last week I went to my first spin class. I was a bit nervous about going as I worried I would be the only man in a room full of women, and that everyone else would have done a spin class before. It turns out that some fears are justified. I didn’t really get what it was about. With a regular exercise class, it makes sense. There is an instructor there that tells you to do different things. But what can you do on a bike? Do they just sit at the front shouting “pedal faster”? The answer to that question is basically yes. Sometimes you pedal slowly in a high gear. Sometimes you pedal fast in a low gear. Sometimes you stand up and sometimes you sit down. Occasionally you alternate between the two which turns into some kind of press-ups on a bike. The instructor is also there to be a DJ, synchronising the instructions to the music. I like it as a workout. It pushes you harder than you can push yourself. And there was another guy there. He turned up late and looked like he had only come to support his girlfriend, but technically he was there. Just going outside and running is simple. But for us adults, we often need something a little more structured to get started. Parkrun is a great option. 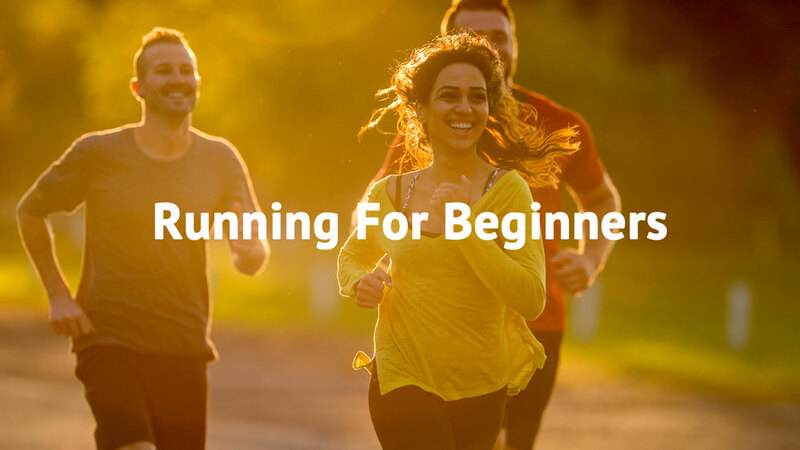 If you are thinking about getting started with running, Parkrun is a great way to go. Founded in the UK it was quickly spread to almost every town and is rapidly spreading across the rest of the world too. So what is it? It is a timed 5km run that takes place every Saturday. It is free, so you can simply turn up and do the run. 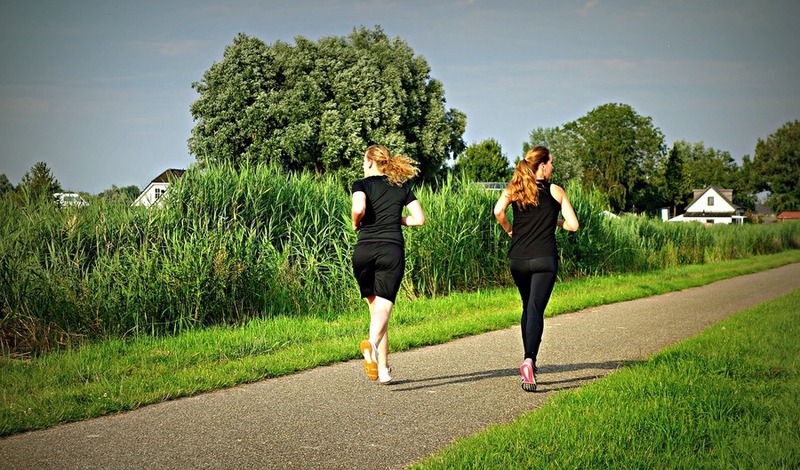 At most Parkruns there is a huge ability difference between runners: some will complete it in 15 minutes, others will take 50. Everyone goes at their own pace. As a Yorkshireman, one of the major appeals to me are the free t-shirts. When you reach 50 runs, 100 runs and 250 runs you get access to a special t-shirt for that “Club”. Actually, it is not free, but all you pay for is a few pounds postage. There is also a “25 Club” for those who volunteer as marshals. Here are the technical details. You register on the website and are given a unique barcode to print out. Take this along with you to the run and when you complete the course a volunteer will scan your barcode so that your time can be sent to you. Given my recent slip into bad BMI I’ve been working on losing some weight. So I have been playing around with some tools to help me. 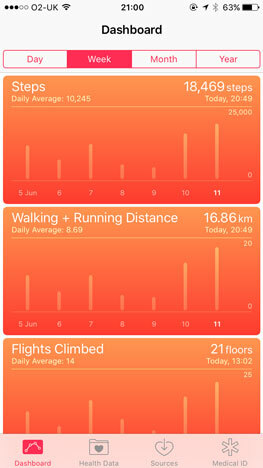 Health is one of the apps that Apple forces on you. I had never actually used it. However, when I opened it, it turned out that it had spent the last year counting every step I make. That is both horribly invasive and rather interesting. I am averaging 7,500 steps per day. 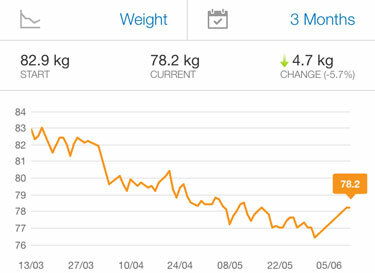 You can record body metrics such as weight and then have them plotted on a graph. This makes sense. Why I would need to regularly record my height and plot that on a graph though is unclear. Perhaps it is aimed at children and the shrinking elderly? 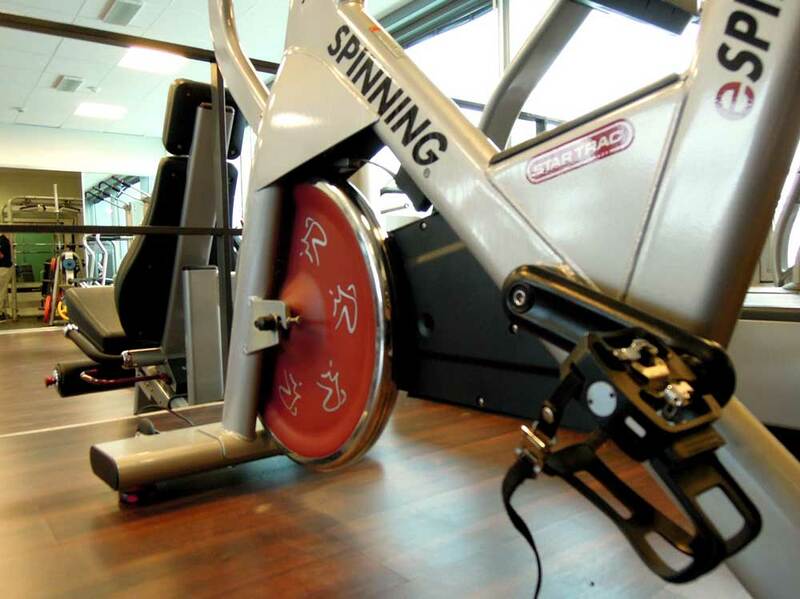 I can also record exercise on it. This will be useful when I exercise without my phone, such as American football training. For running, I use the app below. I have used MapMyWalk for years but now I am upping the ante by using the run version. It is actually the exact same app. When you log a work out in one it immediately appears in the other. 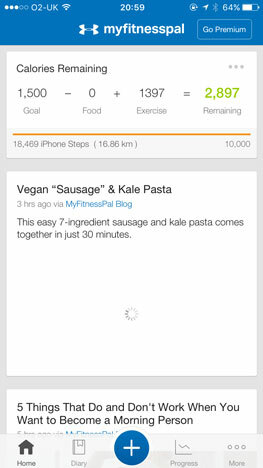 Also, once you have synced one with MyFitnessPal, they are all synced. They are all Under Armour apps, so you would expect them to work pretty well together and so far they do. After three months I had managed to drop 8kg. This was working off net 1500 kcals per day, which I hit almost every day. A few days I was a few hundred kcals over the limit, but on others I was up to 1,000 below the limit (due to large amounts of exercise) so I was definitely below the limit on average. However, I then spent a week on my honeymoon and put 2kg back on. I have a new found respect for anyone trying to lose weight. It is really difficult. At net 1500 kcals per day, which is the maximum my app allows, you can just about fit three meals in, but no snacks or beer in. After all of this, I was only losing 0.5kg per week. Then just a single week off ruined a month of work. Of course, it could be that if you are significantly overweight it is easier to shift the first lot of kilos. However, it really is hard work and difficult to find the motivation when it piles back on so easily. I’m concerned about my weight piling on as I approach 30 so I bought us a set of scales for the bathroom. When they arrived I climbed on – and received a nasty shock. Admittedly I have not been on the scales for quite a long time, but I have put on 9kg since I did. This takes my BMI from a just healthy 24.9 to an officially overweight 26.1. I never really doubted BMI as a measurement, mostly because I was in the healthy zone. I accepted it doesn’t work at the edges (short people and tall people), but it seemed like an accurate measurement for me. Now, I am thinking about joining the angry club of deniers. “at least 150 minutes of moderate aerobic activity such as cycling or fast walking every week” At least four and a half hours (270 minutes) per week. I walk to work every day, 25 minutes each way, and walk to lots of other locations in town too, including running up and down the stairs from my apartment on the 4th floor. It’s not concentrated exercise, but it is quite a lot. or “75 minutes of vigorous aerobic activity, such as running or a game of singles tennis every week” Two hours of vigorous aerobic exercise per week, on average. 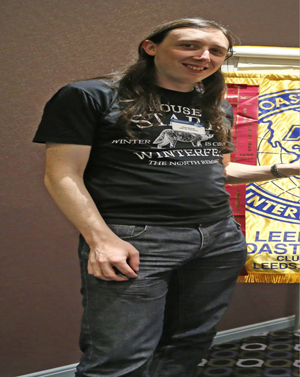 I spend 30 minutes doing the Parkrun on Saturday morning and three hours training with Leeds Samurai. I don’t always make both events, and sometimes there is standing around at training, but overall it averages to more than 75 minutes a week. I consider my diet quite good as well. I eat fruit every day, home-cook most nights, always with a range of vegetables, and sometimes without meat. We limit out intake of junk food and processed meat and I try to take healthier snacks to work, though with limited success. Just one area strikes me as a problem: we have a pudding every night. I won’t claim my diet is perfect but it has given me pause for thought. If I can apply so many good behaviours to my life, like walking to work, like exercising every week, like eating plenty of fruit and vegetables, like avoiding junk food, which is all hard and takes a lot of self-control on my part, and still put on weight, how hard is it to stay thin? For some people, who put on weight easier than I do, it must be almost impossible. I’ve heard people advocating that obesity is entirely the fault of the individual and they should just eat less. To me, this seems like a gross over-simplification of a complex problem. Even to practice some of these positive behaviours requires significant lifestyle changes: much of my time is structured around planning my diet and my exercise, and actually doing them, and I’m not even winning. If someone says to you “right, you need to find an extra hour per day to fit in exercise and planning and preparing healthy meals” where would you find that time? How would you motivate yourself to carry through on that, every day, for the rest of your life? Many of us have found that time of course. But probably not overnight. Chances are we were raised with some of those behaviours also. If you are a regular person, who hasn’t had that benefit, and has a lot to deal with in their lives, it is a difficult problem to solve. And that’s the story of how I tried to turn my weight gain into a social justice issue. 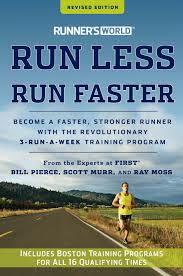 I recently read Run Less, Run Faster after it was recommended by a friend. It sets out a training programme that emphasises getting rid of “junk milage” and making the runs you do do more effective. 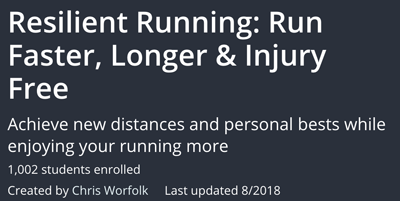 In general it seems to have a lot of good stuff in it, and if I wanted to take my running more seriously, it seems like a great programme to follow. As it is, I will take some ideas from it without taking the whole package. It seems mostly written for people who run marathons. 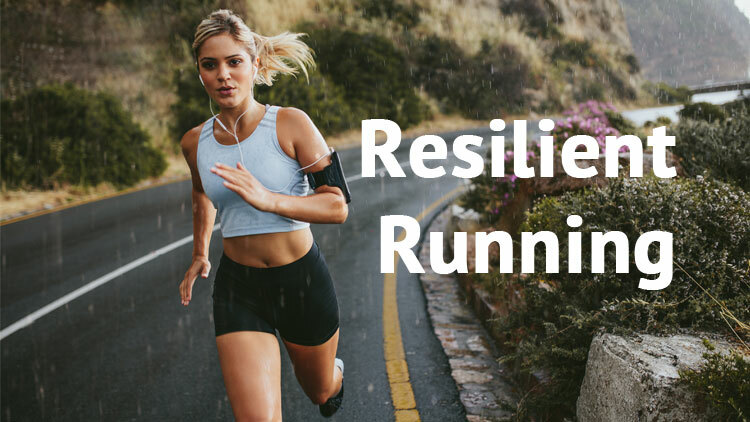 There is plenty of adjustments for 5km and 10km races and all the tables discuss these values, as well as values for quite slow runners (a lot slower than me even) but even so I feel like it is really for people who dedicate their entire lives to running. I guess that should be obviously from a scheme that advocates five workouts a week. 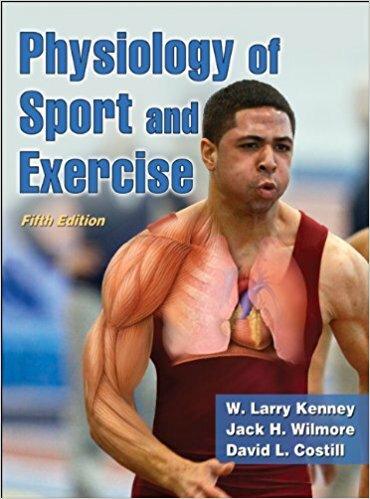 It certainly is not a book targeted as casual runners, or anyone who’s primary purpose is fitness rather than competitive running. It is filled with jargon. Maybe if you are a serious runner you will understand it all, but a lot of it is lost on me and I have had to look quite a few terms up. Some of it seems cautious. It talks about speaking to a doctor before beginning a training programme. Perhaps this is good advice if you have health issues, but I am pretty sure that the overwhelming majority of doctors will tell overwhelming majority of people “yes, of course you should exercise!” And as Chris H has pointed out previously, if you are a healthy 20-something year old, you don’t really need to train for a 10km. If you already do regular exercise, you will just be able to do it. Even by accident. Again though, that goes back to whether you just want to run it, or whether you want to run it competitively. I like the way they mix up the format of the book. Some of it is standard flowing text, other parts are delivered as a question and answer. They also intersperse of all this with letters from people telling them how amazing they are. This I find odd and uncomfortable. I am always suspicious about texts that spend so much time openly stating how good they are rather than offering real content. 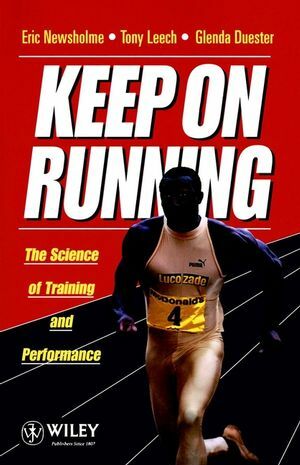 Overall, I think if you want to run competitively, this is a great book to read. Otherwise, it probably is not that useful. I have been running more recently with the anticipation of completing the Abbey Dash in November. 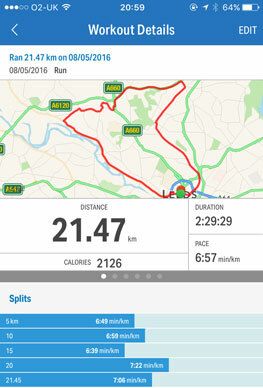 I had drawn up a training programme, in my head, in which I would add half a kilometre each month so that by October I was running the full 10km. Then, a few weeks ago, I felt pretty good on my run, so I just kept going and suddenly I had done 10km. This has entirely ruined my schedule. Not really sure what to do now.